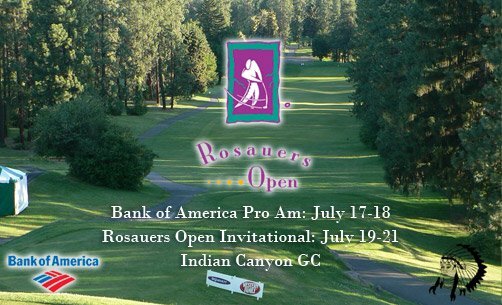 We are still accepting entries for the Rosauers Open Invitational at Indian Canyon GC on July 19-21. Head PGA Professional Gary Lindeblad is excited to host again this year. CLICK HERE for the Rosauers Open Invitational professional entry. CLICK HERE for the Rosauers Open Invitational professional online entry. CLICK HERE for the Rosauers Open Invitational amateur entry. CLICK HERE for the Rosauers Open Invitational amateur online entry. The Rosauers Open Invitational has been on a part of the PNW PGA tournament program since 1988. The famed golf tournament has been hosted at one of Washington’s most desired places to play, Indian Canyon GC. Gary Lindeblad has been the PGA Professional at IndianCanyon since 1984. He surprised his hometown fans with a victory back in 1990, which is a rarity to golf tournaments played on your home golf course. We have had some amazing champions since the event started. Jeff Coston holds the record for the most wins (1997, 2006, and 2008). Other notable past champions are Rob Gibbons (1991), Bill Porter (1999), Todd Erwin (2000), Casey McCoy (2001), and our 2009 (and 2011) Rosauers champion Corey Prugh who set the tournament record of 192. The record was previously held at 193 by Scott Johnson (2004) and Ryan Benzel (2005). We’ll see who gets to add their name to a long list of amazing champions this July. Last year, PGA Professional David Phay of Whidbey G&CC won the 25th Rosauers Open Invitational at Indian Canyon GC after firing rounds of 62-64-68-194, 19-under par. He won by one stroke over last year’s champion PGA Professional Corey Prugh of Manito G&CC. Phay birdied the last hole for the win. IndianCanyon was built in 1935 for $200,000. H. Chandler Egan, a member of the PNGA Hall of Fame, crafted the Canyon’s layout over the well treed hillside southwest of the SpokaneRiver. This municipal track has been annually rated among Golf Digest’s “Best Public Courses”, “Best Affordable Courses”, “Best Golf Courses You Can Play”, “Best in State” and taken individually, some holes rank with the best holes found on any course – public or private – in the region. IndianCanyon’s lofty acclaim is well deserved. CLICK HERE to view past champions of the Rosauers Open Invitational.